Equation’s award-winning Reel Equality Film Club shows great movies that tell women-centred stories and challenge gender stereotypes. Join our campaign for better representation of women on screen and sign up to our newsletter below to hear about the next screening. We choose a wide range of entertaining films that tell women’s stories and do not stereotype or objectify women. We aim to represent the diversity of human experience and avoid films that further prejudice of any kind. Films are open to interpretation, so we cannot guarantee that everyone will find our film choices unproblematic or feminist from every angle. We always welcome constructive feedback. Reel Equality and The Screen at Nottingham Contemporary present an evening celebrating women in film and Halloween with a screening of Lady Macbeth as part of Nottingham Contemporary’s ‘Funny Girl!‘ season. The film will be followed by talks from Christina Marie Newland, Dr. Fran Walsh and guest (TBC). Join us for a screening of Lady Macbeth. Get tickets now for our Halloween special. This film tells a woman’s story about overcoming oppression in the 19th century by using extreme actions.. Lady Macbeth is married off to a stranger in 19th Century Northern England. She begins to rebel against her confinement engaging in pleasure, an affair and murder. Journalist, Christina Marie Newland will lead post film discussion with Clinical Psychologist Dr Fran Walsh and guest. Remember it’s Halloween!! We encourage fancy dress with a Gothic theme. Set in the Swiss countryside, Nora, a housewife and mother, previously unaffected by the social upheaval of the 60s, finds her own empowerment to campaign publicly for women’s right to vote. She not only stands up for what she believes in, but incites a momentum gaining movement much to the aghast of the male community, including her own male-dominated family. This event celebrates and examines the challenges of women’s full and equal involvement in the democratic process, from women’s liberation and protest movements of the 1960s, up to and including the present day. Come along to the Canalhouse to celebrate women’s rights in great company, with a free slice of pizza and popcorn, enjoy the sounds of musicians’ Protest Songs, and a thought provoking panel discussing the current democratic process and its challenges for women. As well as the movie of course! Jasmin Issaka Music will entertain you with some protest songs when you arrive at 6:30pm. Reel Equality members receive concession rate tickets for this screening, please contact us if you would like to join ahead of buying a ticket. Tickets are being offered on a pay-as-you-can basis. Please select the ticket price that you can afford. There are also a limited number of free tickets available for those who would otherwise not be able to attend. Contact reel.equality@gmail.com if you would like to be issued one. Reel Equality and The Screen at Nottingham Contemporary present an evening exploring positive female sexual expression and identity through film, music, talks, diaries and a live comics wall. Join us for a screening of The Diary of a Teenage Girl, introduced by feminist philosopher Katharine Jenkins from the University of Nottingham. Set in 1970s San Francisco, the film follows our 15-year-old heroine Minnie. Through her diary she chronicles her socially defying sexual exploits, creativity and attitude with humour, boldness and honesty. After the film, comic artist Jade Sarson (For the Love of God, Marie!) will invite you to add to a comic collaboration “for all the girls when they are grown.. advice to our younger selves” with tunes from DJ Stiff Kittens. Email your own words of advice to your younger self to events@nottinghmacontemporary.org and they will be displayed and used for the comic wall. Reel Equality Film Club joins femme-tastic DJs Fan Club Notts to celebrate the release of the fun Mamma Mia sequel at Broadway Cinema’s opening night party. Seeking guidance on how to handle her pregnancy, Sophie finds out more about her mother’s past and how relationships forged in the past resonate in the present. Ten years after MAMMA MIA! THE MOVIE, this highly-anticipated sequel sees the return of the original cast and some new additions too including Lily James, Jeremy Irvine and Cher. Get ready to sing and dance, laugh and love all over again! Join us for sweeties and free glitter services for those that want to get into the party spirit. To celebrate and support the forthcoming Nottingham Pride parade, we’ll be raising awareness about representation of LGBT women in film and offering free rainbow cake pops for those going to the 20.30 screening. An exhilarating and entertaining tale based on the famous 1973 tennis match between women’s world #1 Billie Jean King and ex-men’s champ and self-proclaimed male chauvinist Bobby Riggs. The showdown had a major impact on sports politics that resonated far beyond the tennis court, and this fun but politically acute film is still relevant today. With mesmerizing star performances from Emma Stone and Steve Carell and a screenplay brought to you by the creators of Little Miss Sunshine and Slumdog Millionaire. To celebrate midsummer and the start of Wimbledon season, enjoy a free glass of prosecco and punnet of strawberries before the film, which will be introduced by local champions of This Girl Can and with a free summer-themed prize draw! Reel Equality members receive an exclusive discount for this screening. Please contact us at reel.equality@gmail.com for details. Join Equation’s Reel Equality Film Club for a *free* weekend family film screening. Disney’s smash hit animation Zootropolis is set in the chaos of an urban jungle, where all kind of animals live and work together – from the biggest elephant to the tiniest hamster. In this hilarious story, we follow the adventures of determined new bunny police officer Judy Hopps and a wiley con artist fox, as they try to uncover a secret plot. This uplifting tale is full of excitement and stunning visuals, making it a top-quality treat for adults and children alike. With free popcorn and (sugar-free!) squash. Craft and colouring activities to keep the little ones (aged 5+) entertained before and during the screening. No need to book – just show up! First come, first served. Free to residents of St Ann’s and surrounding areas. Reel Equality Film Club is open to all. Brought to you by Equation in partnership with Nottingham City Council and Nottingham City Homes. Reel Equality Film Club presents a *free* family afternoon screening of Disney’s smash hit Moana (PG). In this stunning animated adventure, we follow a brave teenager who sails off on a daring journey to save her people. Full of laughs, catchy songs, excitement and incredible visuals, this is a top-quality half-term treat for adults and children alike. Enjoy free popcorn and squash. Wordsearch and colouring activities available to keep the littlest ones entertained. No need to book – just show up! Free to residents of St Ann’s and surrounding areas. Reel Equality Film Club is open to all. The next Reel Equality screening is Pedro Almodóvar’s stunning film ‘Julieta’; a tender melodrama based on three Alice Munro short stories. Join us on 13th July at the Savoy Cinema, followed by a post-film Summer party at Crocus Cafe with veggie tapas! Julieta is getting ready to leave Spain behind and start a new chapter with her partner. Her plans are put on hold when, after a chance encounter, she hears news of her long-lost daughter, triggering a painful reminiscence of the tragic and life-defining moments of her past and renewing her hopes of reunion. A vibrant, vivid depiction of the world of women, going deep into their interior lives, that explores the mystery of memory and the often unendurable power of love. Join us after the film for a delicious tapas dinner and Summer party at Lenton’s hidden gem, the Crocus Cafe. Bargain combo film + feast tickets available! There will be sangria and fruit punch, a piñata, Latin music and much fun! Book your tickets via Eventbrite now. To complement Broadway Cinema’s epic female-led film programme in March, and in honour of International Women’s Day, Reel Equality and Fan Club team up for a FREE Broadway cafebar women’s takeover party and screening event. Fan Club DJs will be treating you to a mix of exclusively female/non-binary artists who break the constraints of moden music, in a genre-clashing set filled with ballads and anthems from across the decades. Enjoy the music before a special cinebar screening of 9 to 5, the classic 80s satire about three female office coworkers who decide to take action against their tyrannical, sexist boss. Full of optimism and wicked humour, 9 to 5 celebrates what women can achieve when they combine powers to support each other. Starring the excellent Dolly Parton, Jane Fonda, and Lily Tomlin. The film industry grossly under-represents women by creating too many movies that focus on men and side-line women from the plot. When female characters are present, too often they are written as limiting stereotypes. This sexist imbalance stifles women’s stories and reinforces damaging beliefs about the lesser value of women. 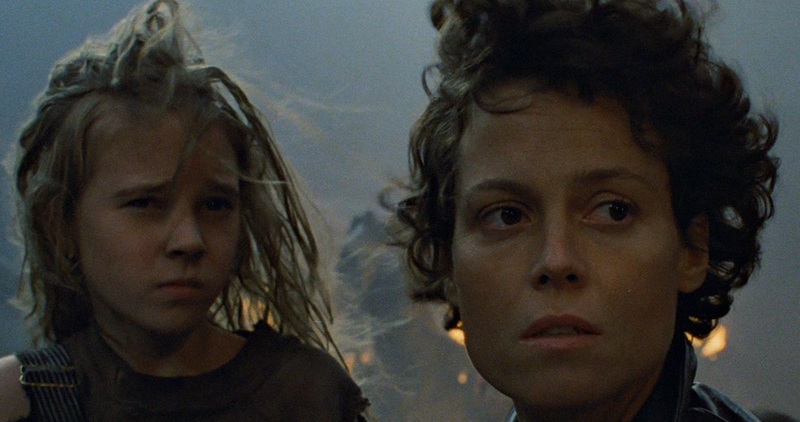 We’ve done the research about gender inequality in film so you don’t have to. Speak to a volunteer at one of our events, or email us to find out how you can get your membership in a few simple steps.